John Monroe Williams was born on 20 October 1843 to Luticia and Jesse Williams in DeKalb County, Tennessee. In 1858 he moved with his parents to Van Buren, Arkansas. [1860 United States Census, Cadron, Van Buren County, Arkansas.] He enlisted to fight as a private for the Confederate States of America in the American Civil War in June 1862 at Springfield, Arkansas. He signed up for a three year service and was mustered in on 25 June 1862 at Little Rock. His unit was originally organized as the 28th Arkansas Infantry Regiment under the command of Colonel Dandridge McRae. The unit was originally intended as a mounted force, but was dismounted shortly after being formed along with three other newly formed mounted commands. Following the Battle of Prairie Grove on 5 November 1862, the regiment was reorganized and redesignated as the 36th Arkansas Infantry Regiment. The unit is also occasionally referred to as the 2nd Trans-Mississippi Infantry Regiment. John served in Company H under Joseph F. Hathaway. John was captured on 4 July 1863 in Helena, Arkansas, and sent to a military prison at Alton, Illinois. He was then paroled at Fort Delaware and forwarded to City Point, Virginia, for exchange on 7 March 1865. On 24 March 1867 he married (1st) Lucy E.P. Smith (1832 – 1899) and together they had four children, listed below. On 28 January 1875 he married (2nd) Rebecca E. Adkins Burleson (born in 1852) and together they had several children, listed below. 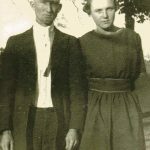 John and Rebecca are listed on the 1910 census of Cleburne County, Arkansas. [1910 United States Census, Cadron, Cleburne County, Arkansas.] Their tombstone indicates that both died in 1924. Letitia Williams was born on 4 February 1871 to John and Lucy Williams.[Ibid.] She married (1st) John Lacefield Lacy and together they had two children, Ottie and John Jr. On 10 April 1898 Letitia married (2nd) Foster C. Carter (born on 11 June 1845 in South Carolina). [Foster’s parents were James A. Carter (1810 – 1880) and Martha A. Ivy (1818 – 1905)] Foster appears to have been previously married to a Sarah F. Ivy (1851 – 1895) with whom he had five children. [The five children of Foster and his first wife Sarah were James Carter (1870 – 1880), John C. Carter (1872 – 1964), May E. Carter (b. 1873), Hugh L. Carter (1876 – 1942) and William Carter (b. 1878).] After their marriage in 1898, Letitia and Foster had five children together, listed below. She died on 3 March 1942. John L. Lacy was born on 22 June 1891 in Arkansas to John and Letitia Williams. He died on 9 March 1950 in White County, Arkansas at the age of fifty-eight. He is buried in Hart Cemetary in Rose Bud, White Co., Arkansas. Ottie Lacy was born on 24 September 1893 in Arkansas to John and Letitia Williams. 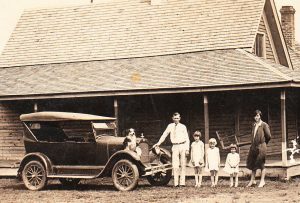 She married James Calvin Crockett (born on 7 July 1893) and they had one son. Ottie died on 20 June 1927 in Arkansas and James followed many years later on 28 October 1973 in Chelan, Chelan Co., Washington. Ottie is buried at Mt. Bethel Cem, Rose Bud, White Co., Arkansas. Herman Crockett was born on 29 February 1916 in Rose Bud, White County, Arkansas. He married Velma Slayton (b. 30 March 1916). Velma died in March of 1989 in Chelan County, Washington. Herman followed on 21 Dec 1992 in Federal Way, King County, Washington. Foster Carter, Jr. was born on 12 March 1900 in Arkansas to Foster and Letitia Carter. He married Belvia V. Straghorn (11 Aug 1904 – 15 June 1991) and died on 15 January 1969. Both are buried in Center Hill Presbyterian Cemetery in Center Hill, White County, Arkansas. Rebecca Boda Carter was born on 2 September 1901 in Arkansas to Foster and Letitia Carter. 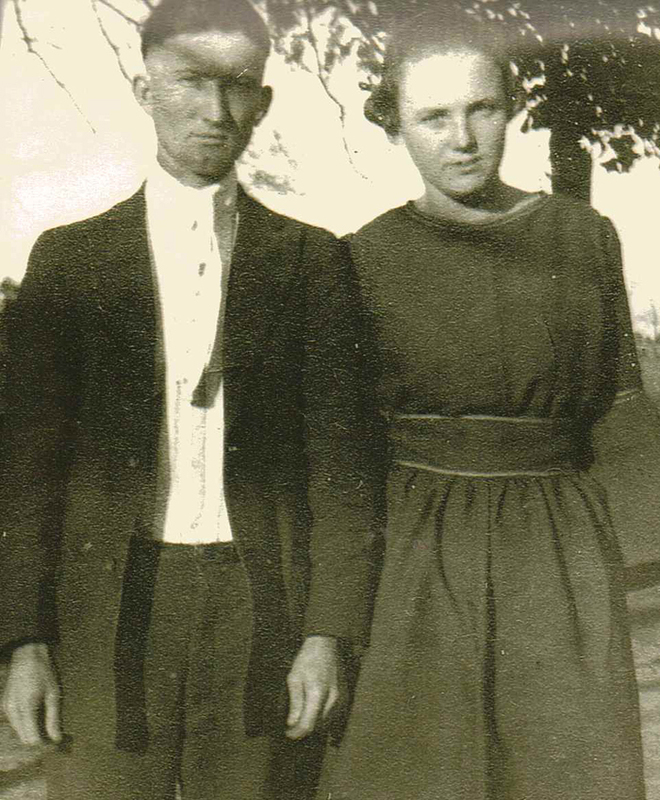 On 8 October 1918 she married Elbert Homer Crockett in White County, Arkansas. [Elbert was born on 19 October 1897 in Rose Bud, White County, Arkansas, to Jacob David Crockett and Nancy Jane Leird.]. 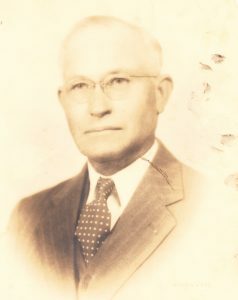 Ollie P. Carter was born on 9 June 1910 and married Martha Olevia Boggs in about 1928. He died on 5 September 1956 and Martha died on 17 December 1994. 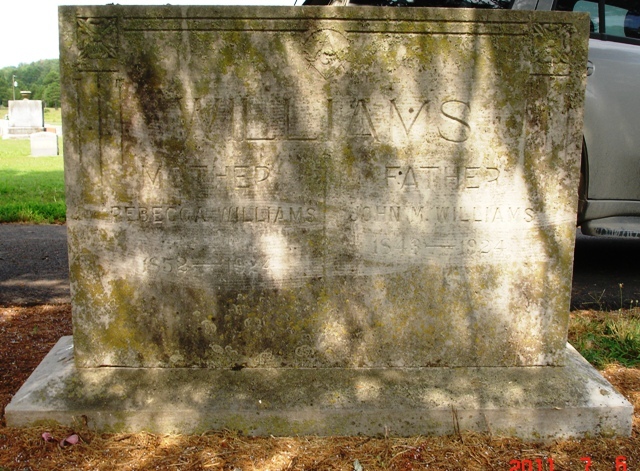 Eliza Williams was born in August 1873 to John and Lucy Williams. She married on 7 August 1892 to William Robert Gotcher (born in August 1870) in Cleburne County, Arkansas. William died of pneumonia in 1911. Thereafter Eliza married a man named Cook. He either died or they divorced, and Eliza next married Columbus C. Crabb (known as “old man Crabb”), who had at least one child, Earl, from a previous marriage. Old man Crabb was not well liked by the stepchildren. Eliza presumably died in the late 1930s or 1940s, likely in Arkansas, where she lived. She was listed on the 1930s census, under Crabb for Seminole County, Konawa Township. She was last visited by Powell Gotcher in 1936, so she lived to at least the age of sixty-three. Olen P. Gotcher was born on 5 August 1894 to Eliza and William. He died in May of 1971 in Morrilton, Conway Co., Arkansas. 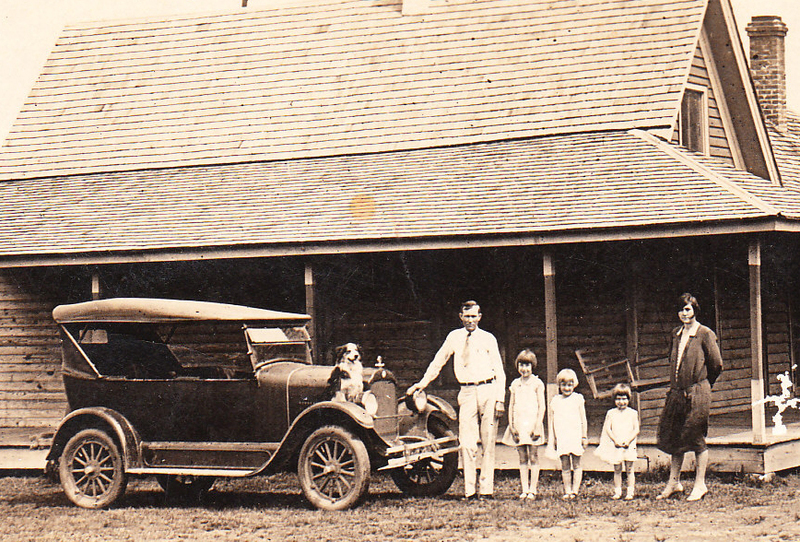 Gladys Tennessee Gotcher was born in 1896 to Eliza and William. Willie H. Gotcher (known as “Bill”) was born to Eliza and William and died in San Francisco on 27 October 1941. Powell Jesse Gotcher was born on 27 March 1902 to Eliza and William. He died on 16 September 1981 in Portland, Oregon. Sarah M. Gotcher (known as “Sallie Mae”) was born to Eliza and William on 14 February 1900. She died on 3 May 1953 in Maricopa County, Arizona. Ada Cook was born to Eliza and Mr. Cook, and was five years old during the 1920 census. In that census Ada is erroneously listed with the last name Crabb. William Williams was born in 1874 in Cleburne County, Arkansas, to John and Lucy Williams. 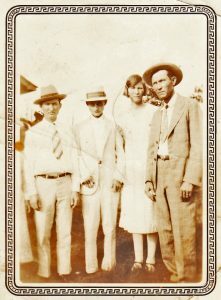 Siblings (L-R): Joseph Williams, Smith Williams, Jane Williams, and Jesse Richard Williams. Smith Williams was born in January 1877 to John and Rebecca Williams. He married a woman named Ethel and they had at least three children: J. Rena Williams, John T. Williams, and Lutie A. Williams. Smith died in 1949 in Ohio. George W. Williams was born on 18 November 1881 in Quitman, Arkansas, to John and Rebecca Williams. He died almost two years later on 27 August 1883. Sarah Emma Williams was born on 4 November 1883 in Quitman, Arkansas, to John and Rebecca Williams. She married in 1907 to William Reuben Theodore Powell. [William Powell was born on 9 August 1876 in Oxford, Lafayette County, Mississippi. His parents were Nathan H. Powell and Cynthia Elizabeth Melvina Samantha Hood.] William was previously married to Emma Ella King. [Emma King Powell lived from 1872 to 1902 and is the daughter of George Monroe King and Georgia Stephens. Emma is buried in King Cemetery in Faulkner County, Arkansas.] Sarah and William had numerous children. Sarah died on 20 June 1953 in Judsonia, Arkansas. Nancy E. Williams was born on 29 November 1886 and died on 13 August 1887. 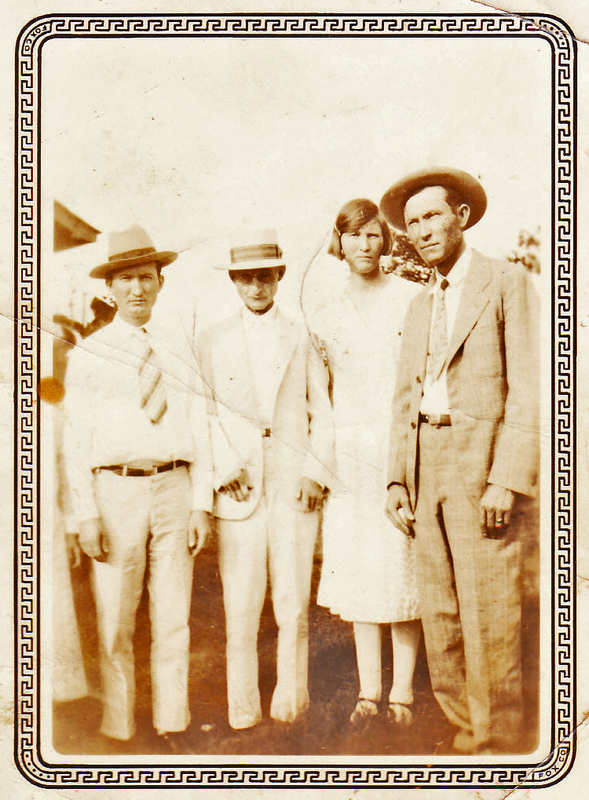 Jesse Richard Williams was born on 9 July 1888 in Quitman, Cleburne Co., Arkansas. On 28 September 1915 he married Kate Phillips (born 3 December 1890). Together they had three children. Jesse worked as a barber in Quitman for seventy-six years and eventually became the state inspector for the Arkansas barber board, traveling to all parts of the state for the job. Jesse and Kate were lifelong members of the Methodist church. Kate died in October 1980 and Jesse followed in September 1981, both in Quitman, Cleburne County, Arkansas. Lois Jeanne Williams was born in 1920. She married a man with the surname Moore and lived in North Little Rock. Vernelle Williams was born on 27 April 1922 in Quitman, Cleburne County, Arkansas. Vernelle married Fred Gunn (4 March 1910 – 19 April 1993) and they had a son, James F. “Pete” Gunn, who had at least two children. Vernelle died on 16 April 2006 in Quitman. Lou Eva Williams was born in 1925. She married O.J. Snow. Jane Williams was born on 5 August 1891. She died on 3 January 1976 in Conway, Arkansas. Joseph Franklin Williams (“Joe”) was born on 19 January 1894. He married Lula Gardner on 11 November 1919 in the home of Lula’s parents. [Lula Gardner was born on 9 November 1903 in Thayer, Missouri, to William Sharrod Gardner (1859-1913) and Ida Malinda Crow (1872-1944).] They had four children, listed below. Lula died on 20 January 1978 in Conway, Arkansas. Joe died on 2 February 1986 in Bridgeport, Texas. Eva Jo Williams was born on 6 November 1926 in Quitman, Arkansas. She married on 17 March 1945 to Harold Daves (born in 1824) in Cleburne County, Arkansas. Patsy Williams married a man with the surname Schlager and lived in Ft. Worth, Texas. Linda Williams married a man with the surname Scott and they lived in Little Rock, Arkansas.